State Representative Deanne Mazzochi (R-Elmhurst) was sworn into her first full term Wednesday. Fulfilling her campaign pledge, she refused to vote for Mike Madigan as speaker, instead seconding the nomination of Jim Durkin (R-Western Springs) to be speaker. Madigan was nevertheless re-elected Speaker of the House by a party line vote of 72-44-1; Durkin retained his position as Minority Leader. 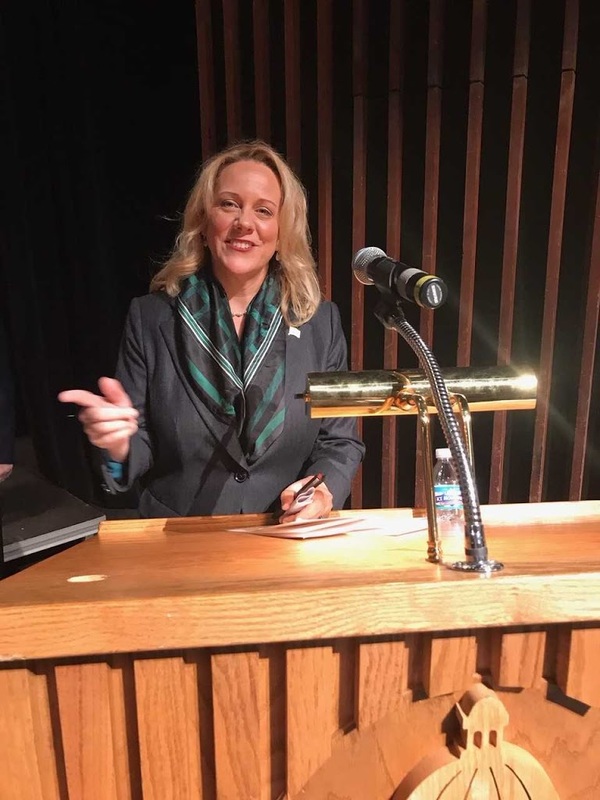 The House of Representatives of the new 101st General Assembly includes almost 40 freshman members; Mazzochi represents approximately 110,000 residents from Elmhurst, Oak Brook, Oak Brook Terrace, Hinsdale, Clarendon Hills, Westmont, Downers Grove and Western Springs. Rep. Mazzochi will be holding a legislative open house on the evening of Feb. 11th. Everyone is invited and encouraged to share their thoughts and experiences; Mazzochi and additional legislative staff will be on hand to answer questions or concerns; or to share friendly conversation. The district office is located at 1 S. Cass Ave., Westmont Centre, Suite 205, Westmont, IL 60559. Residents of the 47th district can learn more about legislation Mazzochi sponsored during the spring legislative session on her website or by signing up for her email list at www.repmazzochi.com.